Years ago......DECADES ago when I fell in love with goalie mask sets, I decided to chase anything and everything that had closeups of masks. As a result, I've got a mishmash of base cards and inserts with nice full mask designs on them as well as some borderline insert sets that at the time I felt were worthy of the chase. Over time I've whittled down these selections (and my wantlist) to include only that which I feel is truly worthy of my collection. One of those is the great 2003 product - Topps Pristine....specifically their mini cards. I don't know much about the product but quick research says that the mini cards were inserted one per box. 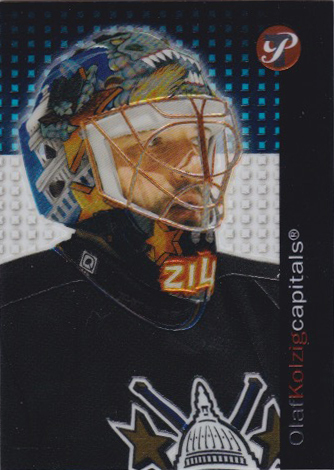 There is a checklist of 40 cards (about half are goalies) and they all use headshots as photos. I began scouring monster boxes at shows trying to locate a few singles and did manage to build a nice start to my goalie mask "mini set". Over the past few years though....the well has dried up. I guess not actively pursuing them hurts my chances of finding them. But at the big card show here in town a couple weeks ago I decided to dig a bit - not specifically for these cards, but because I really had nothing better to do. I had already exhausted my Linden search and was more or less just enjoying the day at the show. So why not hunt. 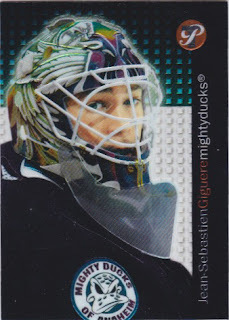 I managed to track down a couple of these elusive mini cards and I was thrilled to see them. So much so that I didn't even care if I needed them or not (I assumed they were priced cheap since they were in a massive box labelled "Hockey Cards - Cheap". I really like the looks of these. There's just something about the simple design, Lite-Brite background pattern and thick, shiny foil-type card face that had me sold. Just an interesting note.....there's a JS Giguere autograph version of this in the product - the only mini that gets the signed treatment. I believe they use a different photo for it too.....so it's on the list. To find one was pretty cool. Locating a second forced me into a full monster box search. Surely there would be dozens of these in the box....right? Nope. Not another one showed up. I should be glad that the two I found were both goalies. When I got home, I was even more pleased to find that I had both of them on my wantlist. Bonus!! These cards book for a few bucks a piece, so I was cautious to see what the asking price would be. I was stunned to hear "a buck" come out of the seller's mouth. I even had a cheap Linden insert included in the mix. Needless to say, I couldn't get the loonie out of my pocket fast enough. No question....these two cards were my favourite pickups of the show. 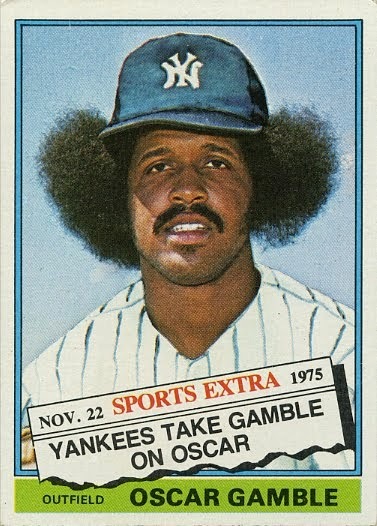 It's got me reinvigorated to track down some of the other cards that still sit on my wantlist.